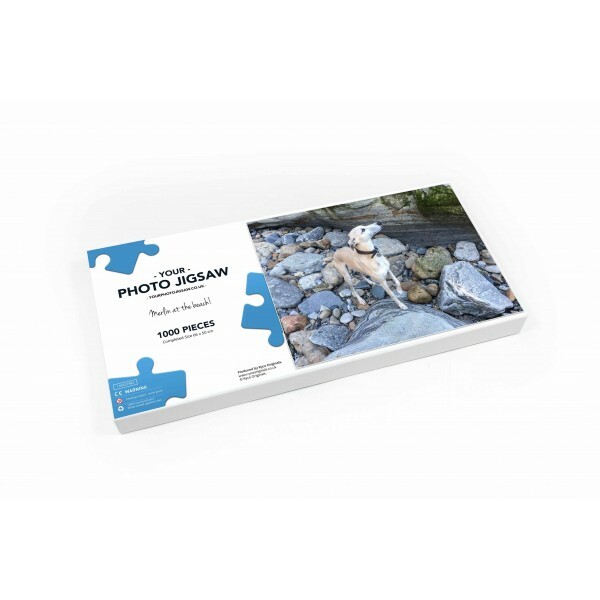 A quality 500 piece personalised collage photo jigsaw puzzle made into a scattered photo style montage from a collection of up to 20 of your own favourite photos. 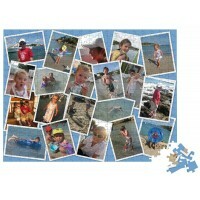 Once approved we will manufacture a quality 500 piece boxed jigsaw puzzle. The box lid will also have a copy of the collage along with your chosen message. Please enter your message, up to 60 characters over 2 lines, in the boxes below before checking out. 500 pieces - size 50 x 38 cm (20 x 16 ins).